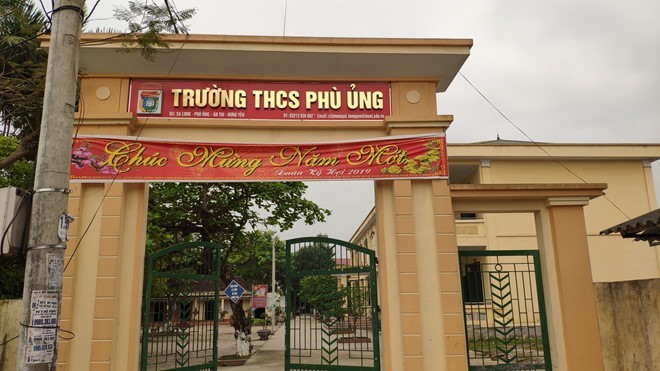 HƯNG YÊN — A school principal in the northern province of Hưng Yên has been suspended following an assault on a young female student by a gang of classmates. If serious wrongdoings were found after an investigation, the school board and teacher involved would be suspended, according to chairman of the provincial People’s Committee, Nguyễn Văn Phóng. The studying of students involved had also been suspended, he said. The province has instructed police to investigate the case and strictly punish violators in line with the law, and has asked the provincial Department of Labour, Invalids and Social Affairs to visit and support the victim. The provincial Department of Education and Training will also hold a teleconference with all schools in the province to discuss measures to prevent similar incidents. Minister of Education and Training Phùng Xuân Nhạ said this was a serious case and a lesson for the whole education sector. Although many legal documents were issued to prevent violence and ensure safety at schools, such incidents still happened, he said. He partly blamed the incident to loose management at the school and the headteacher’s failure to monitor the students’ behaviour and psychological development. The ninth grade student was reportedly beaten by five other students on March 22. The incident happened after the class finished when most staff and students had left. A video clip showed five students removing the girl’s clothes and repeatedly kicking her in the head and chest, Lao động (Labour) newspaper reported. She is being treated at the provincial psychiatry and mental health hospital.